Uncanny member Kirstin performs weighted, chest-to-bar pull-ups like a pro. You’re about halfway through the workout, and your hands are starting to ache from the grip intensive movements. 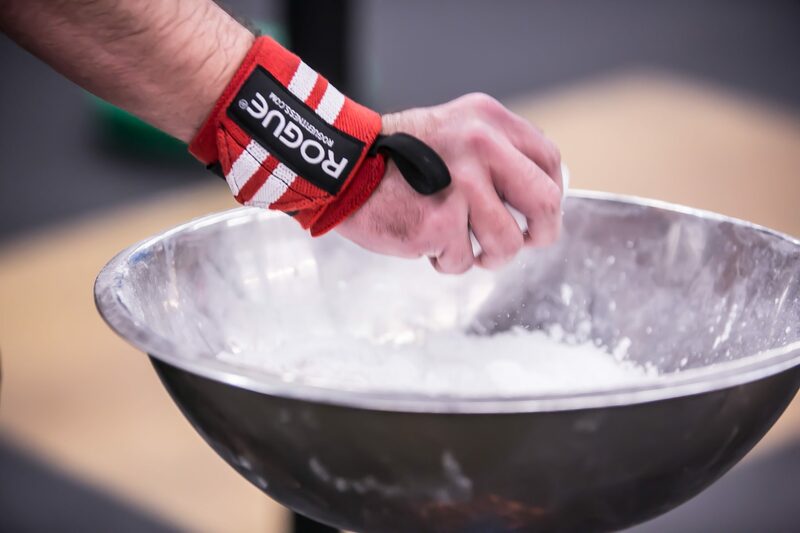 As you make your way past what seems like the 100th round of deadlifts, you jump up to the bar and start to rep out your set of toes-to-bar (or knees-to-elbow), and then, it happens – the skin on your hands start to tear and rip. Suddenly, the tough calluses you’ve worked so hard to build up are no longer worth bragging about to your friends (lame story, bro). No amount of chalk can save you now. So, to save face, you cringe and grind your way (and your skin) through the rest of the workout and pray that the damages aren’t as bad as they’re starting to feel. First, don’t over-react, rips happen, they’re annoying, but they need to be treated. If this is your first rip, congrats, you’ve just achieved a CrossFit rite of passage. Now, immediately go to the bathroom and wash your hands (with soap…) to remove any chalk and dirt from the ripped area. WARNING: IT’S GOING TO STING. But don’t cry, there’s no crying in CrossFit. Second, if you haven’t already, clean off the barbell and pull-up bar you may have gotten blood on—no one wants to touch that grime. Don’t be gross – do the right thing and clean your equipment. Next, cut away any excess dead skin as close as possible to the rip. Hanging dead skin may harden and catch on the bar causing the tear to keep occurring. Don’t put yourself through that added pain, cut the skin and apply Neosporin or antibiotic cream to the affected area. Cover with a bandage or wrap with gauze but make sure not to wrap it too tight—let the wound “breathe” a bit. The key is to keep it clean, treated and protected to help the healing process. keeping the area moisturized with Aquaphor or Vaseline so that the rip doesn’t dry out and the skin doesn’t crack. Tea bags – apply a used (cooled) tea bag to the rip for 15 minutes to help relieve any pain you may be experiencing. The tannins in the tea stimulate new skin growth. Vitamin E – also helps to speed the healing process when applied directly to the ripped area. If you follow these steps and are diligent with keeping the ripped area clean, treated and protected, you’ll be on your way to a healthy, healed hand. Now, before you go back to gripping and ripping (again) the bar, do yourself a favor and apply some preventative hand care to your routine. If you’re a seasoned Crossfitter, chances are you already know these tips, but here they are again as a friendly reminder. Invest in grips – cloth, leather, synthetic, whatever may work for you. If you’re on the fence about grips, ask some Uncanny veterans what kind of grips they like. I’m a huge fan of Victory grips – they last a long time, are reliable, and were designed/tested for performance by top gymnasts. Other brands include Bear KompleX, WODies, JAWs, and the Natural Grip™. Friends don’t let friends’ ripped hands go untreated. Read the tips for treating hand tears. 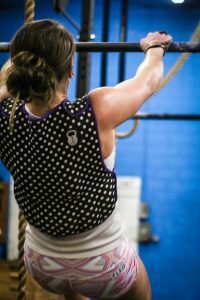 If you’re new to CrossFit, take a minute to read CrossFit Invictus’ blog post on hand maintenance. The Invictus post offers some great tips on how to keep your hands primed for any type of gymnastic bar or ring movement. Rips happen, but they’re not the end of the world. Just remember that you should treat a rip like any other injury and take care of it as soon as it happens.